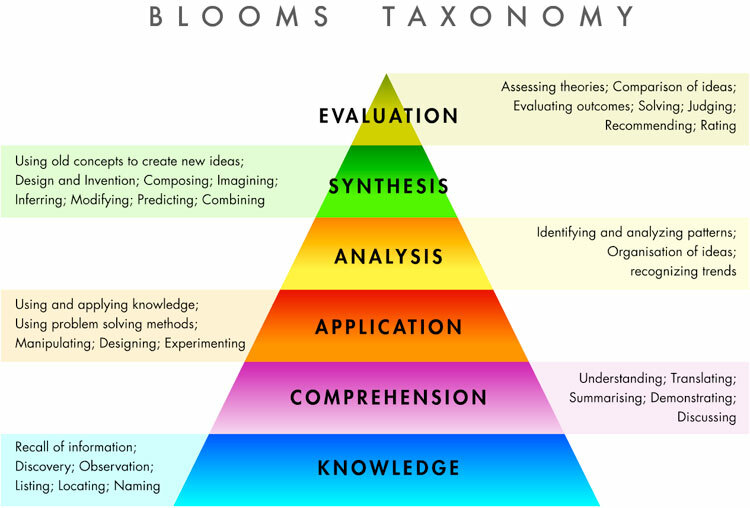 Bloom was an educational theorist, Taxonomy just means classifying. 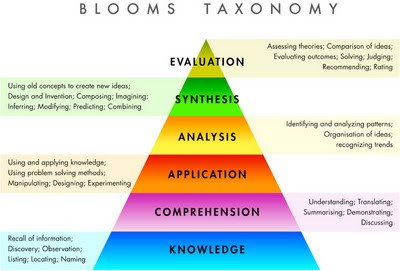 This hierarchy of learning objectives is common to all post-secondary institutions. In a nutshell, it means your job is to move as quickly as possible from absorbing new information to using it creatively. The highest form of any skill is art.